We did the diabetes equivalent of the 3,000 mile oil change this week - you know check the A1C level and rotate the infusion sites. Being real diabetics as opposed to some sprinkle sharing unicorn like mythological perfect diabetics there were ideas on things to do better and a recognition of the things that being done well. I cut her off. Sure. We are in. When I was at the JDRF Capital Chapter event a few weeks ago one of the geniuses (I don’t use that term lightly, these scientist were sharp as a fresh lancet, if anyone remembers what a fresh lancet is like. I mean daylight saving time is a way off... But I digress.) One of the geniuses presenting was talking about the lack of a database type 1. There is no registry of folks with type 1 diabetes in these United States so it is a little hard to say with accuracy if is it increasing and if so where and why. So there we were at the next endo visit and they want to know if we will participate in a database project. Hell yes. The geniuses need it. It is in our interest. If you are reading this it probably in your interest too. 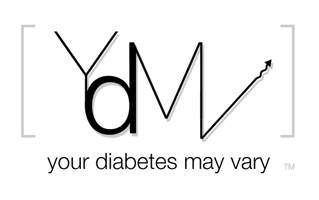 The data exchange called T1D Exchange is a project sponsored by the Helmsley Charitable Trust. These folks are making some wonderful commitments to make lives touched by type 1 better. Cool stuff is coming and I look forward to hearing and sharing more about their efforts. That’s later. Right now we have a roll to play. Sixty clinical sites are working to help build the data exchange. If at your next endo visit there is a visitor looking to get you to participate - step up ...err... make that sit down at a computer fill out a few screens of data. The sharp as a lancet dudes need a registry and we all should be in it. We are in. Are You? I'm in if I get asked. I will talk to my doc about it. Cool stuff. We are SO in. Just had our endo visit today. I'll email our endo at DuPont and ask about it. It's about time. It is called the T1D Exchange. Hope that helps you join! Thanks Anonymous. I'll go edit that in where I should have had it in the first place.